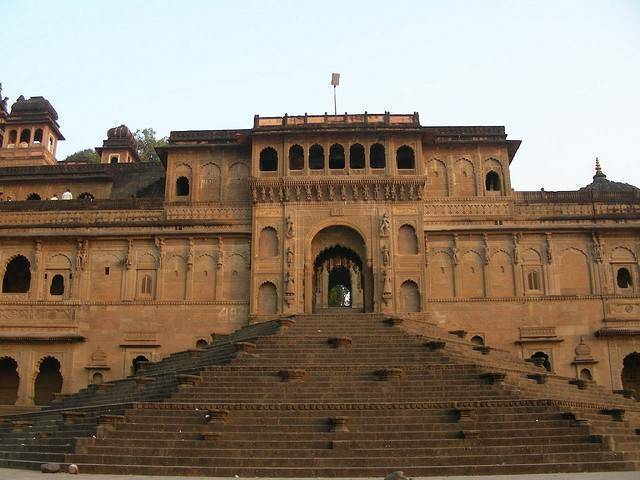 Maheshwar has a glorious past and was known as Mahishmati, capital of king Kartivarjun. The town is of high religious importance as it is mentioned in Hindu epics like Ramayana and Mahabharata. This temple town is located on the banks of Narmada and has many tourist attractions. You can see the famous Maheshwar's temples and mighty Ahilya fort-complex (also known as Maheshwar Fort), both of them are known for their magnificent architecture and tranquility. For people who love shopping the city offers beautiful hand-woven saris made out of silk and cotton called Maheshwari. Rani Ahilyabai introduced Maheshwari Sarees almost 250 years ago.